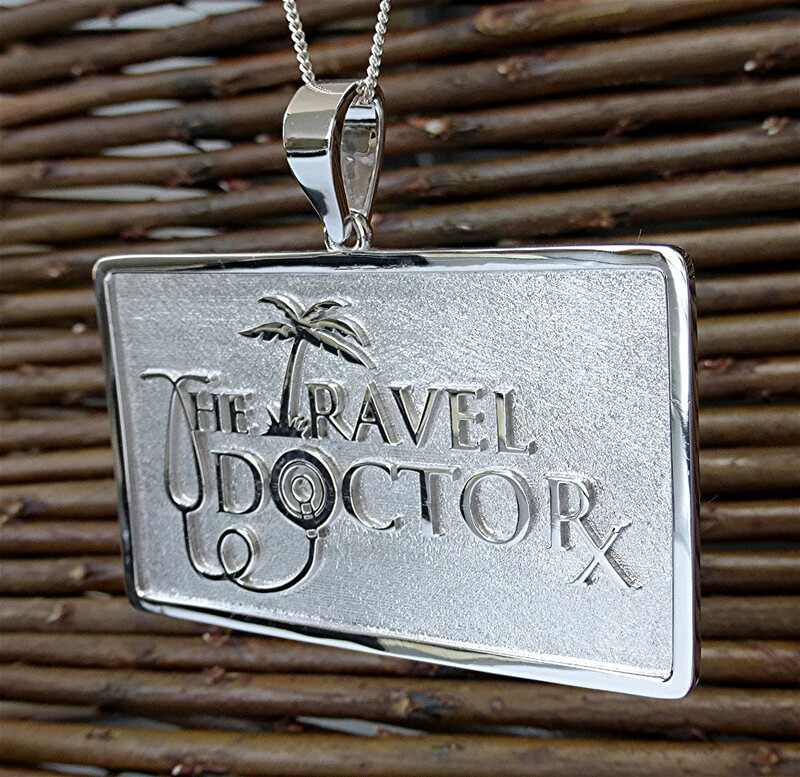 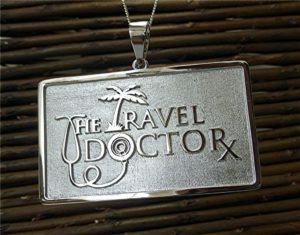 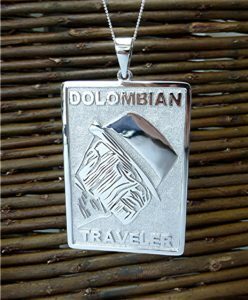 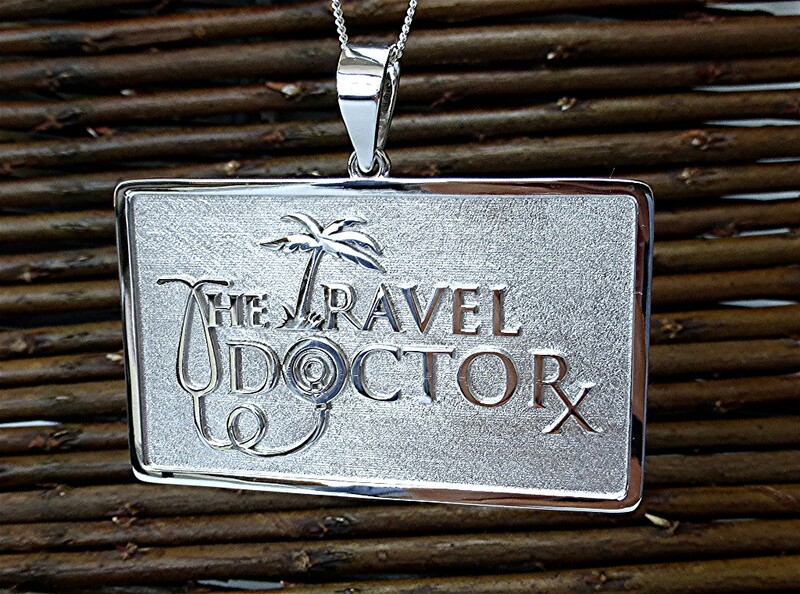 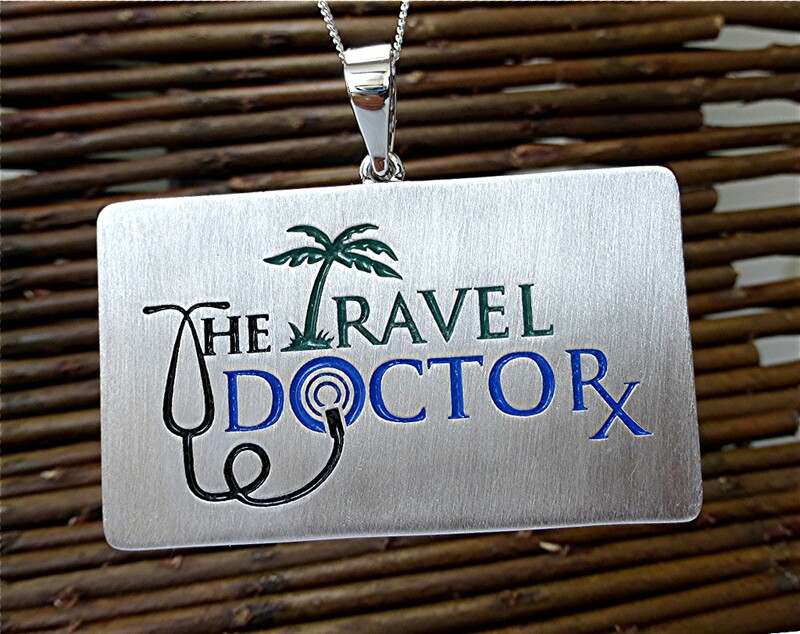 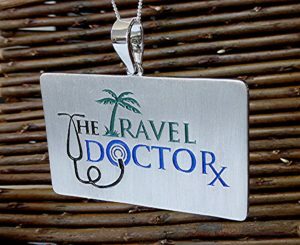 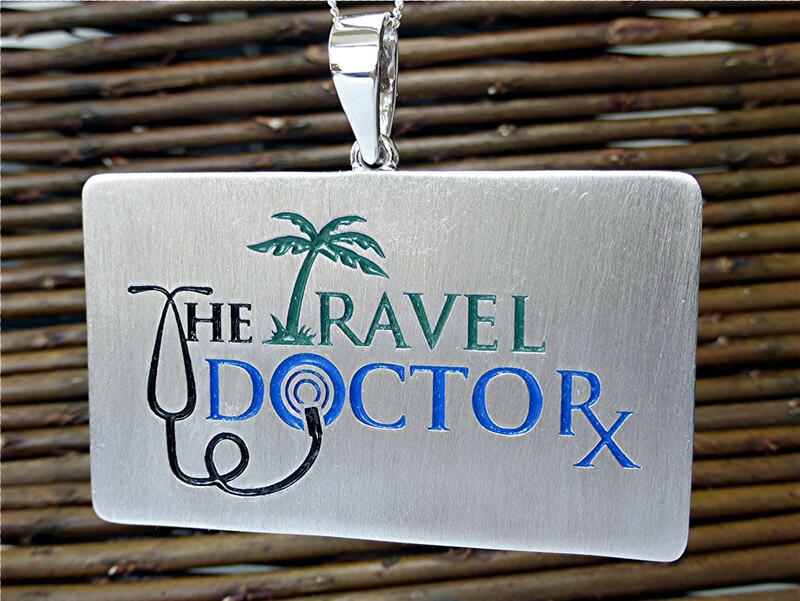 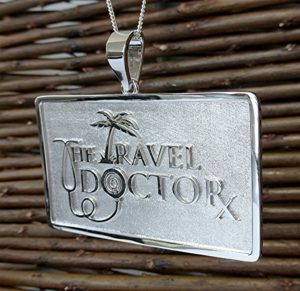 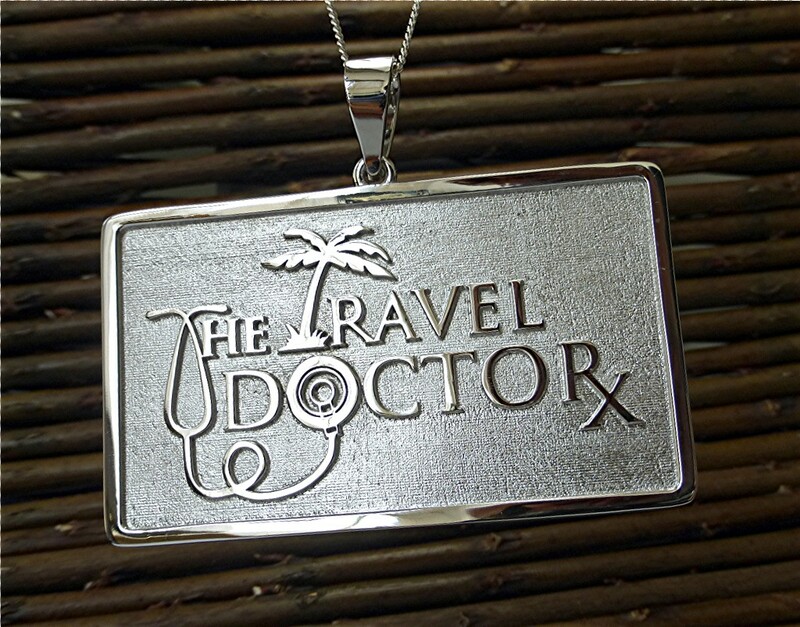 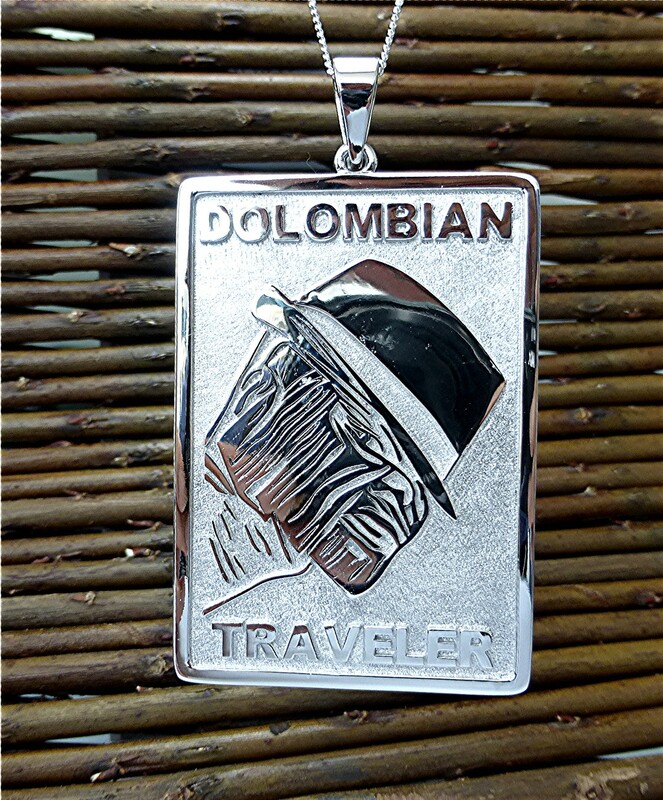 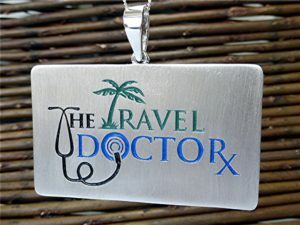 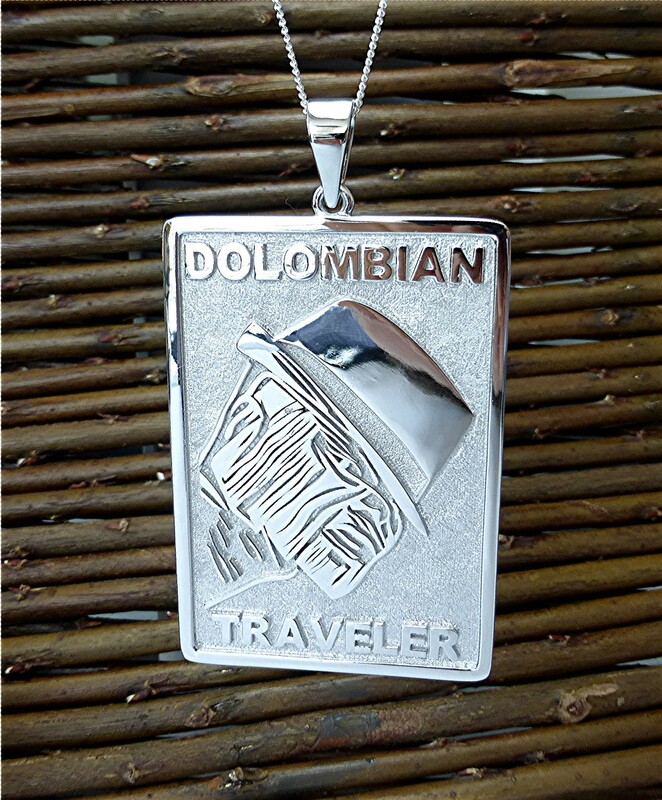 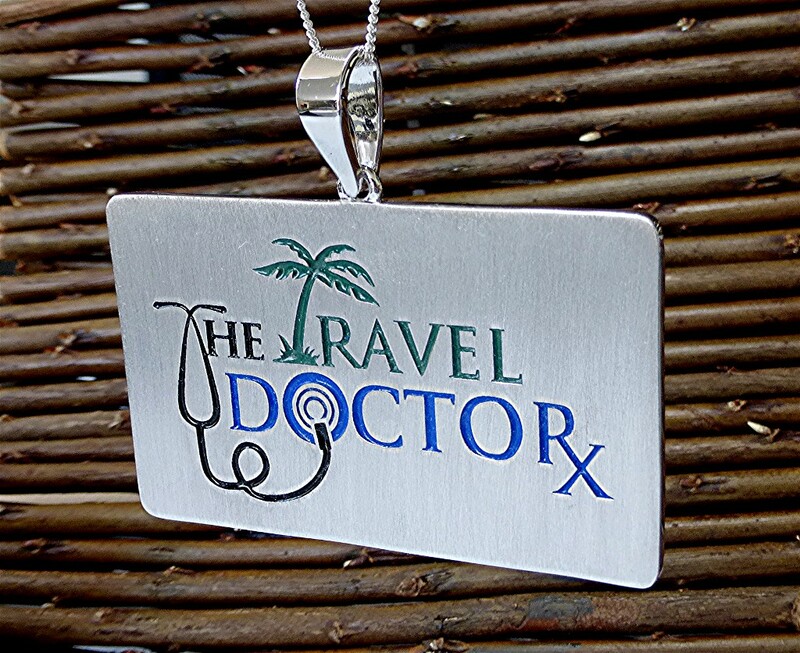 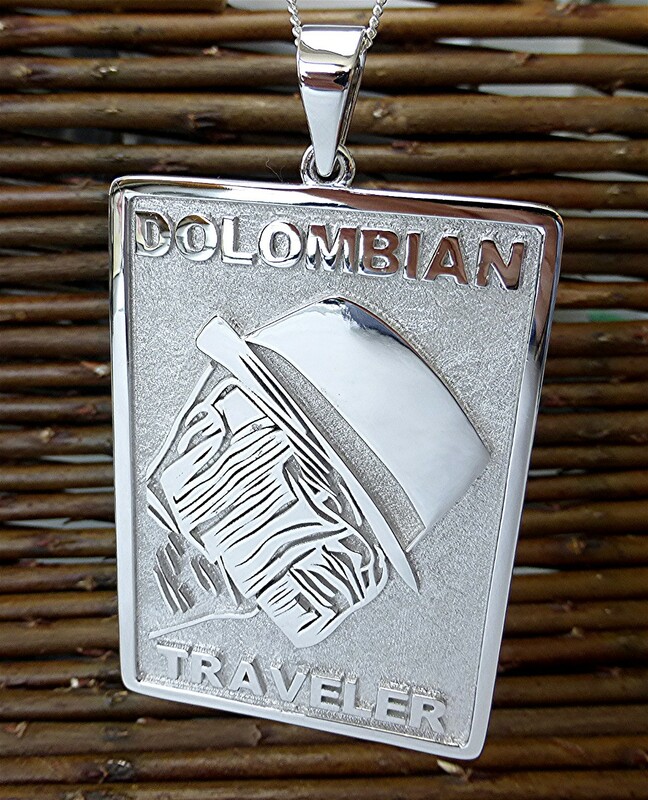 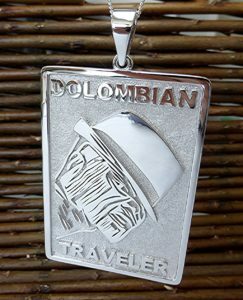 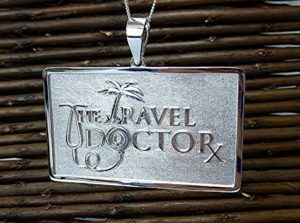 Three inches long extruded logo pendant made in rhodium plated silver. 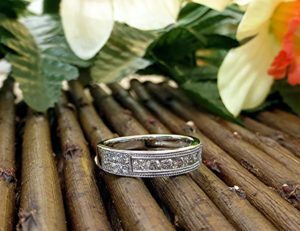 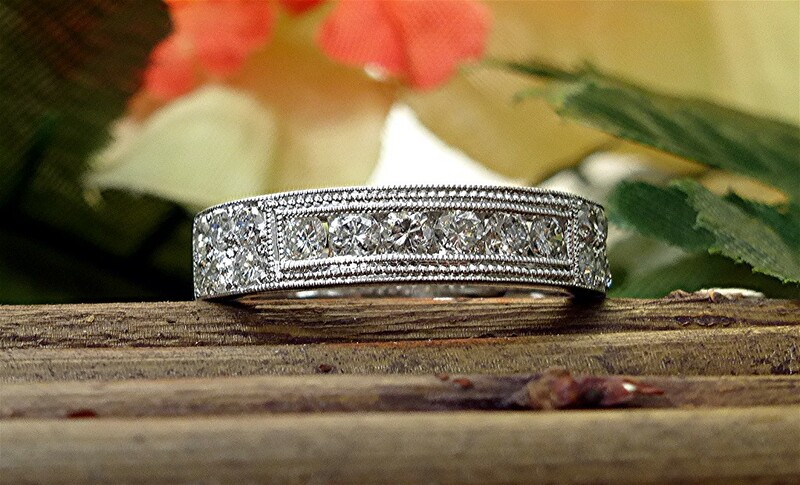 Three inches wide rhodium plated silver. 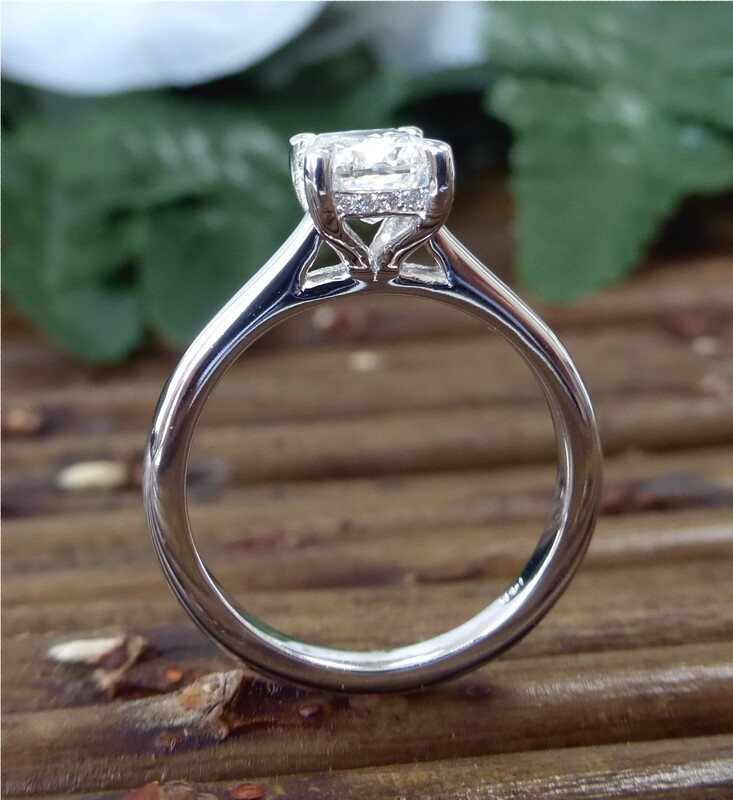 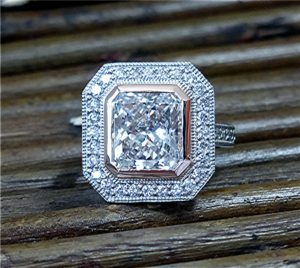 Custom made mounting made for 1.35 carat radiant cut diamond measuring 7.23 x 5.45 x 3.82 mm, GIA F, SI1 made in 14k white with 18 RBC diamonds, o.06ct. 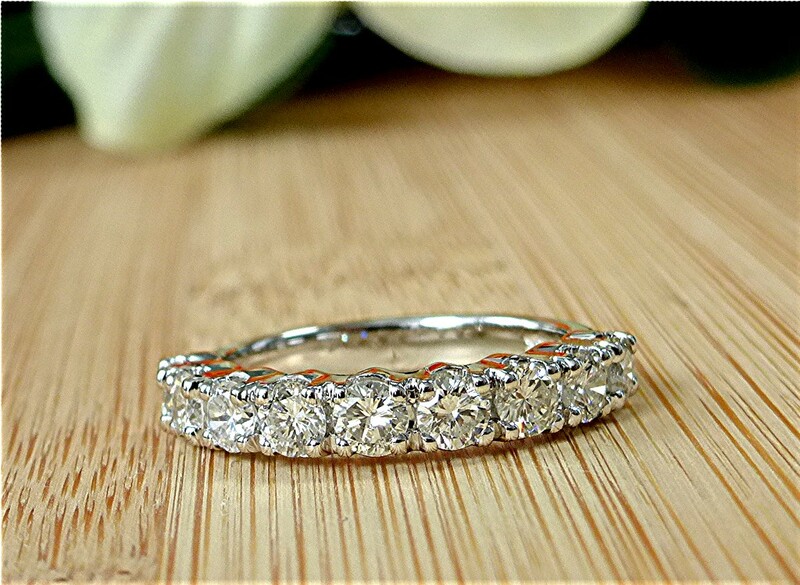 micro pave set around basket under the center. 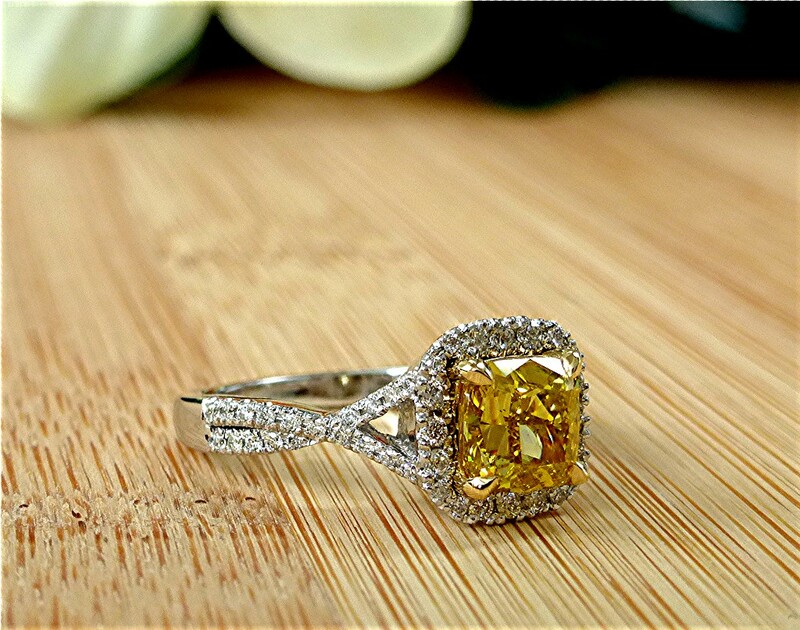 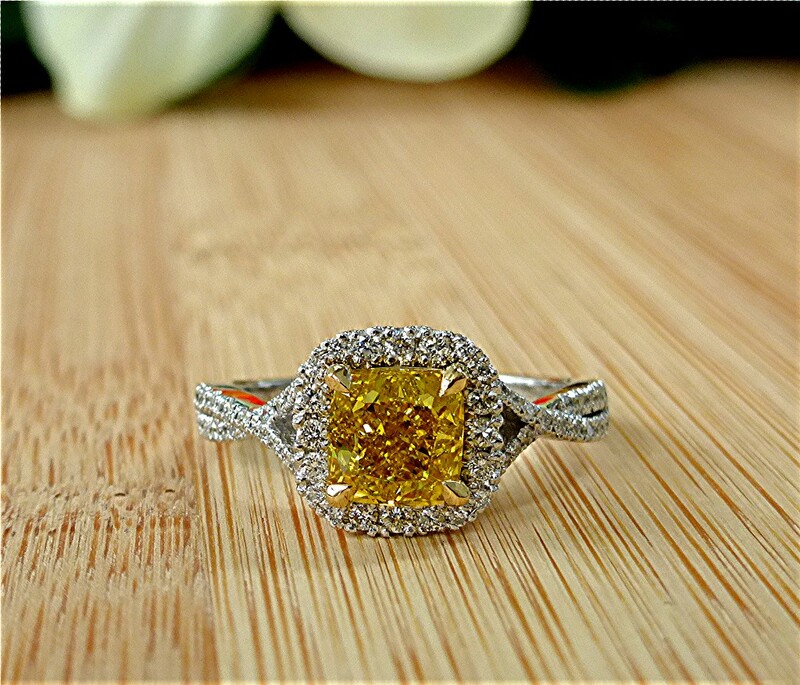 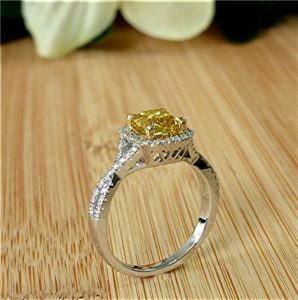 Center stone is natural irradiated intense yellow diamond cushion cut 1.29 carat (5.82 x 5.75 x 4.14mm), four prong set into a 18k yellow enclosure of a 14k white mounting with halo and twisted shank design with 58 round brilliant cut white diamonds for total of 0.31carat. The new band made similar to the older band. 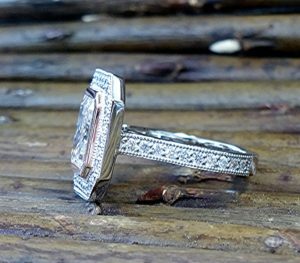 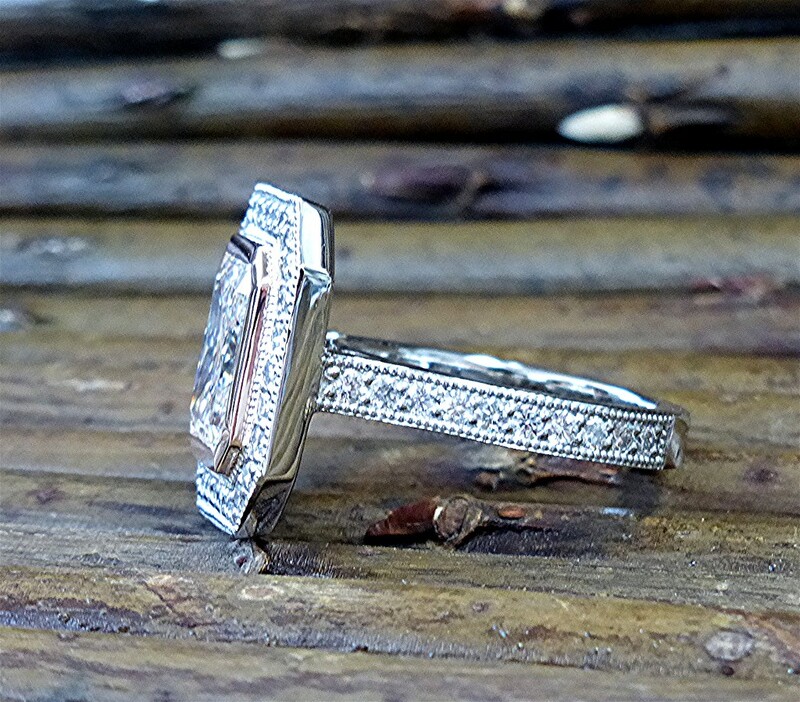 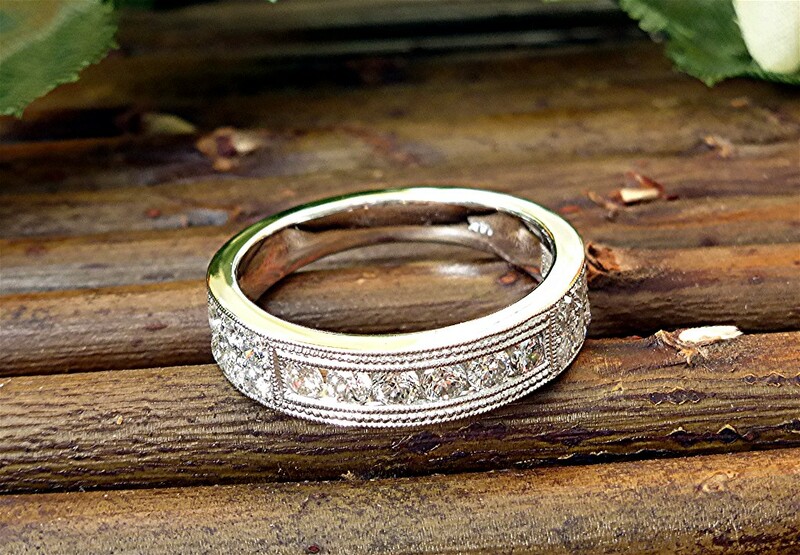 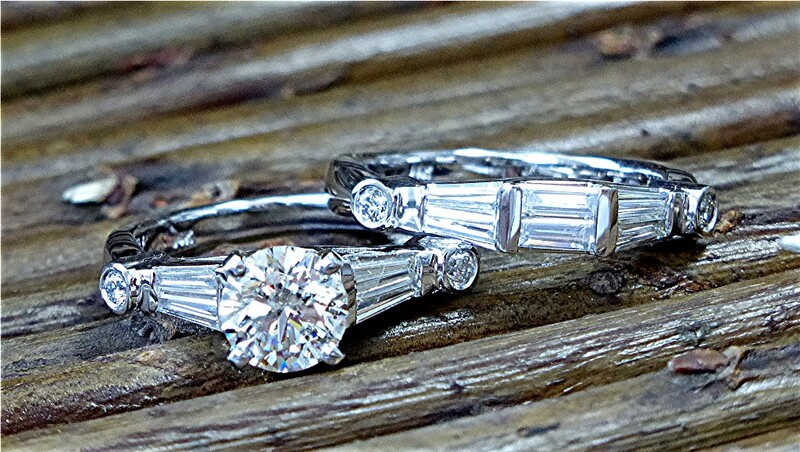 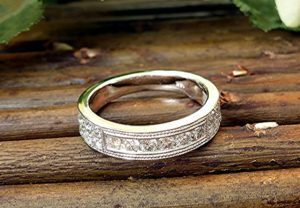 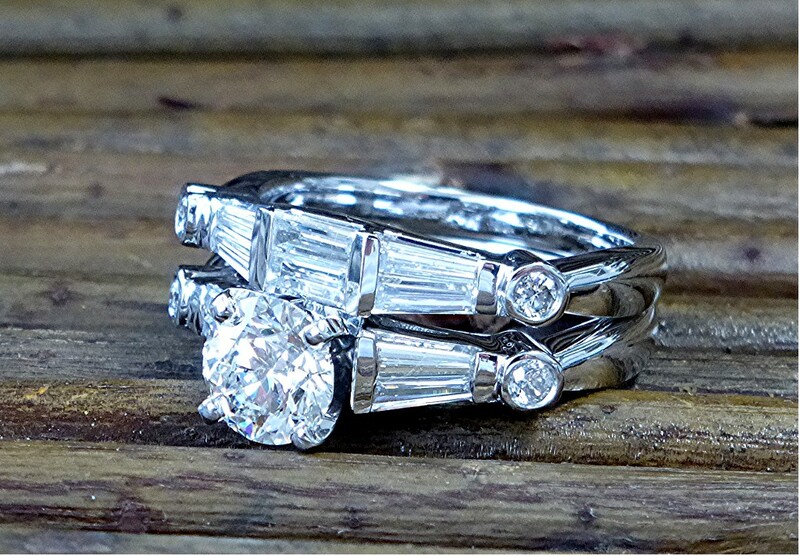 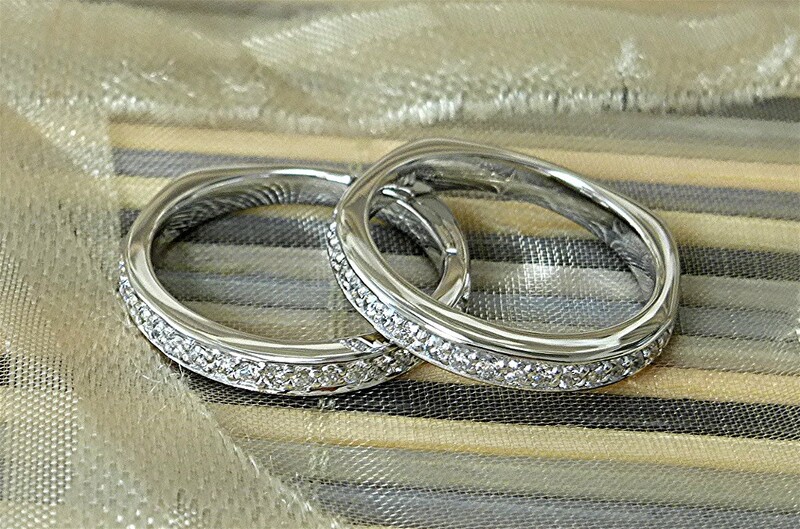 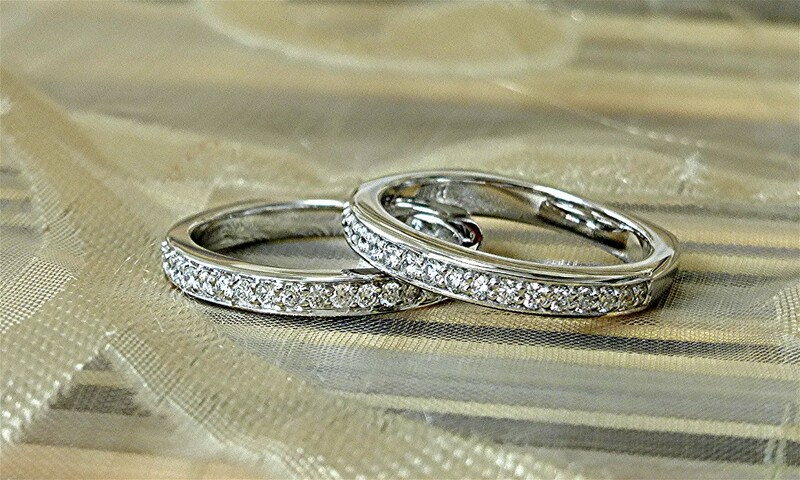 Both bands have 19 round brilliant cut bead set diamonds made in 14k white with European square shank. 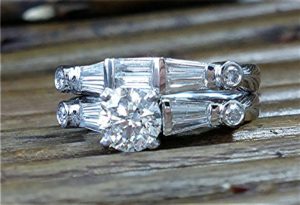 Nine diamonds are prong set in 14k white gold mounting for total of one carat diamond. 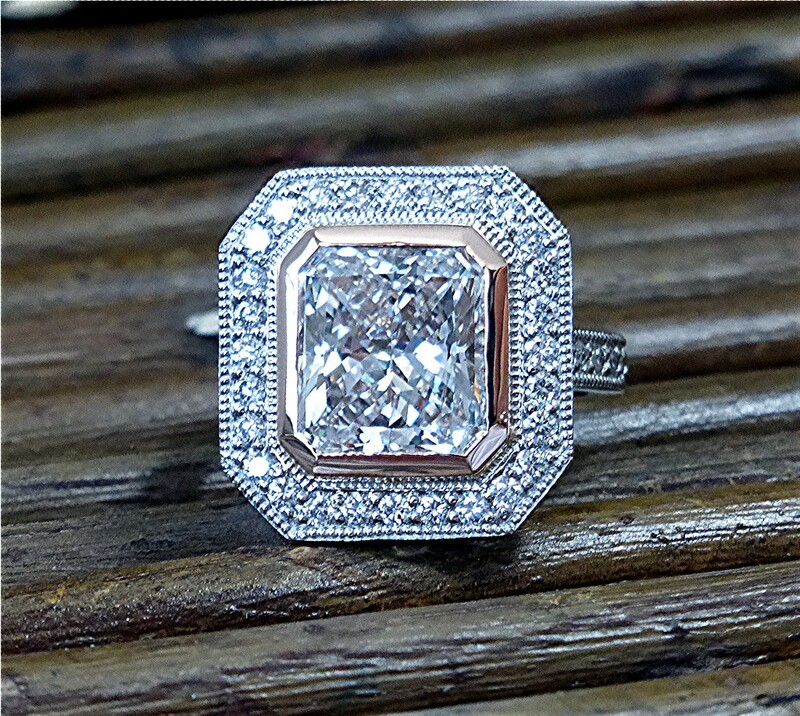 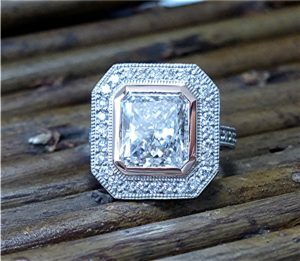 Center stone is 3.5 carat radiant cut white diamond set in 18k rose gold bezel. 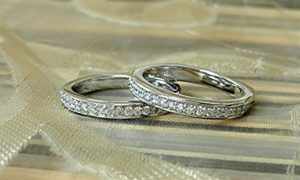 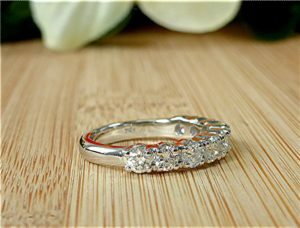 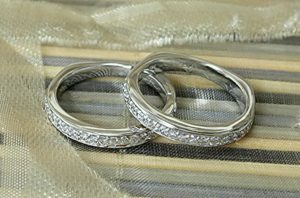 Mounting is made of platinum with 48 bead set round brilliant cut diamonds for total weight of 0.82 carat. 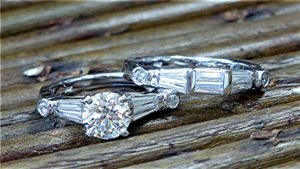 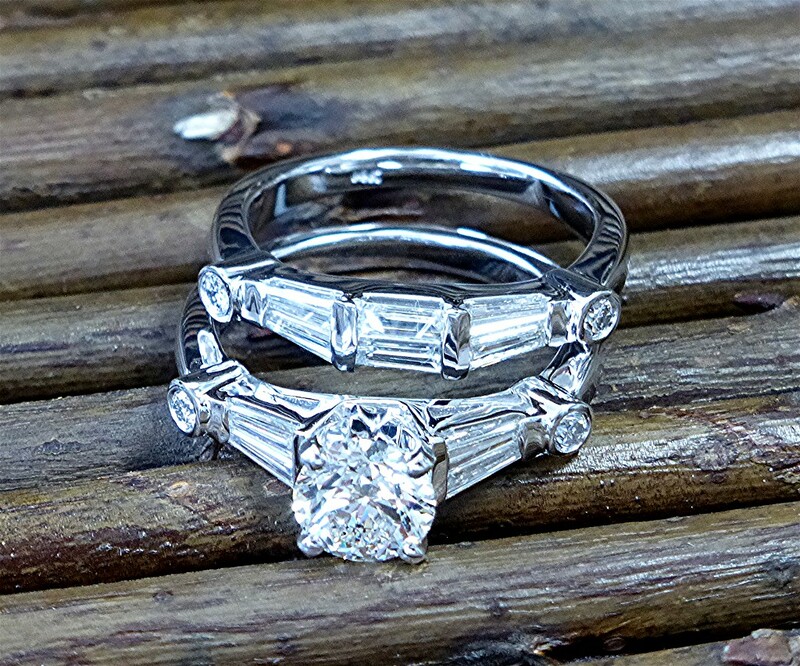 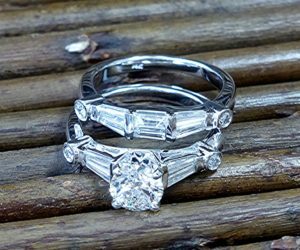 Diamond band is set with six long baguettes G, VS.(0.54ct.) 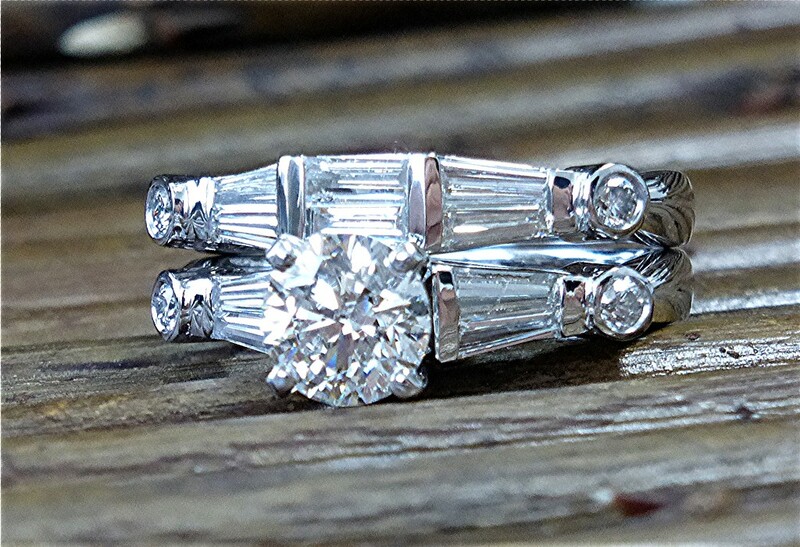 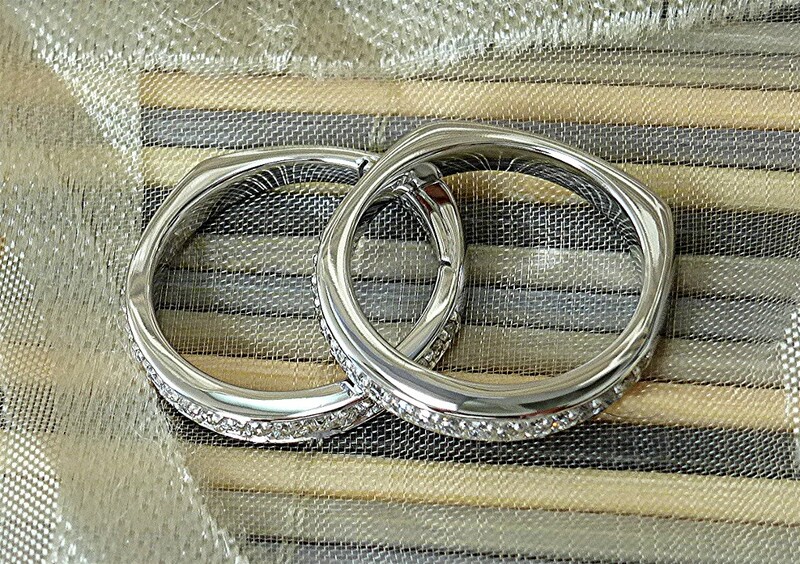 and two bezel set round diamonds(0.08Ct.) 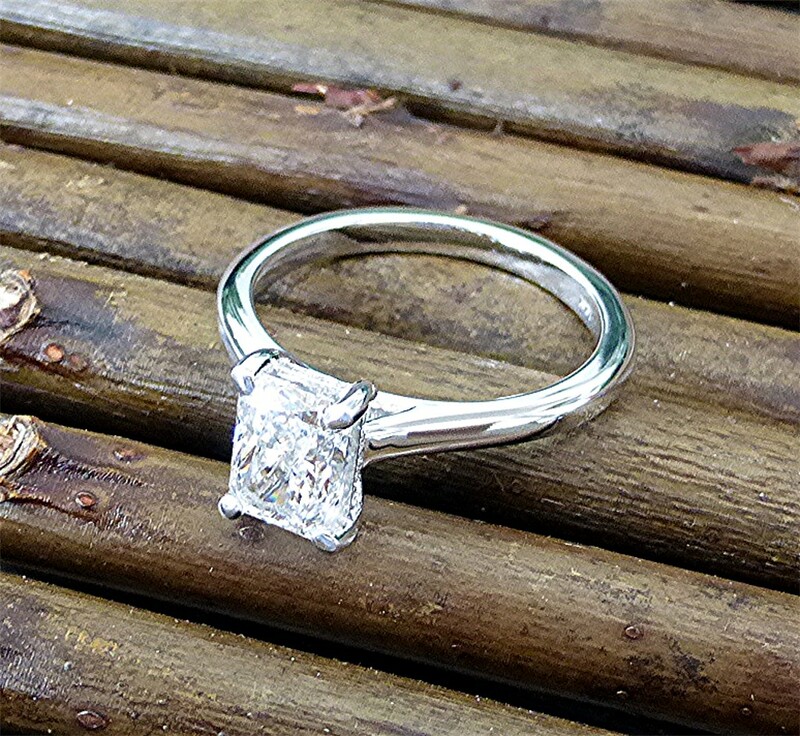 for total of 0.62 carat made in 14k white gold. 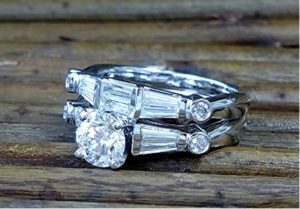 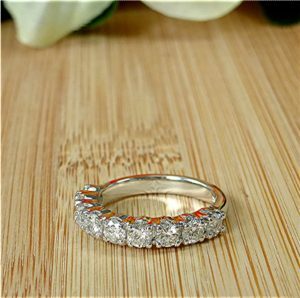 Engagement ring is set with four long baguettes G, VS(0.35ct), and two bezel set round diamonds (0.08Ct.) 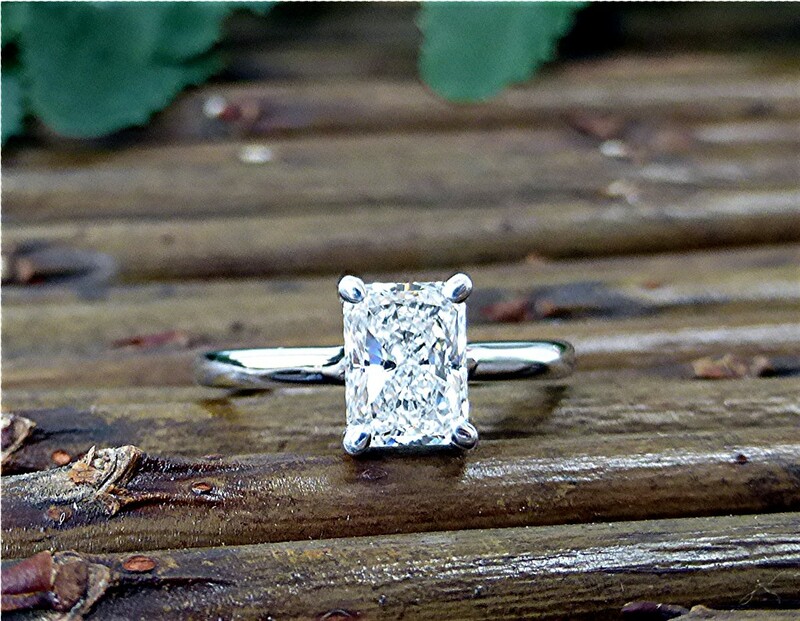 for total of 0.43 carat. Center diamond is round brilliant cut with GIA certificate 1.20 carat I color SI2 clarity, triple excellent cut. 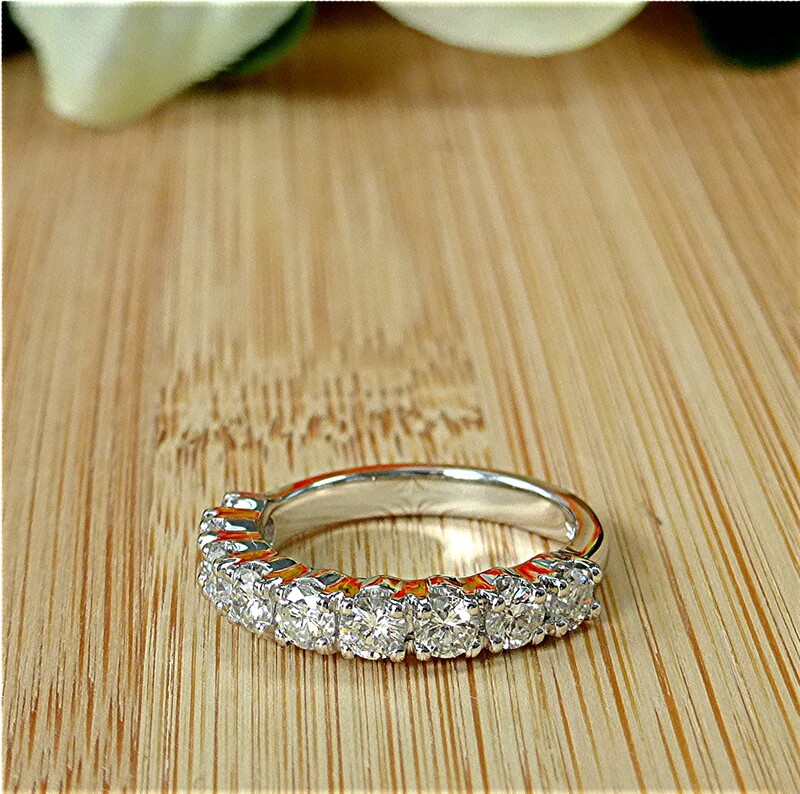 This ring was made from diamonds which were removed from customer’s unwanted old jewelry. As per request of customer the 18 stones are channel set in center and bead set on the sides, made in 14k gold.